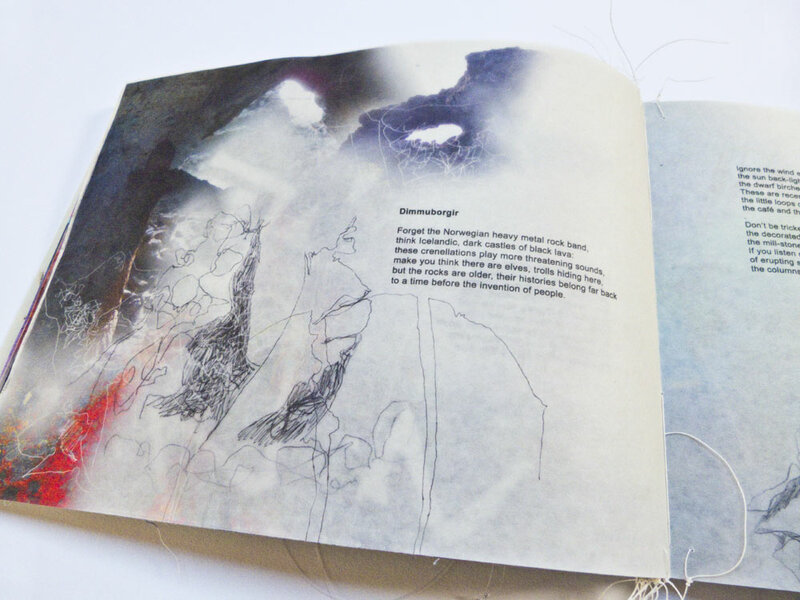 ‘Iceland Stories’ and ‘More Iceland Stories’ is probably the full collection of poems and images in two volumes. 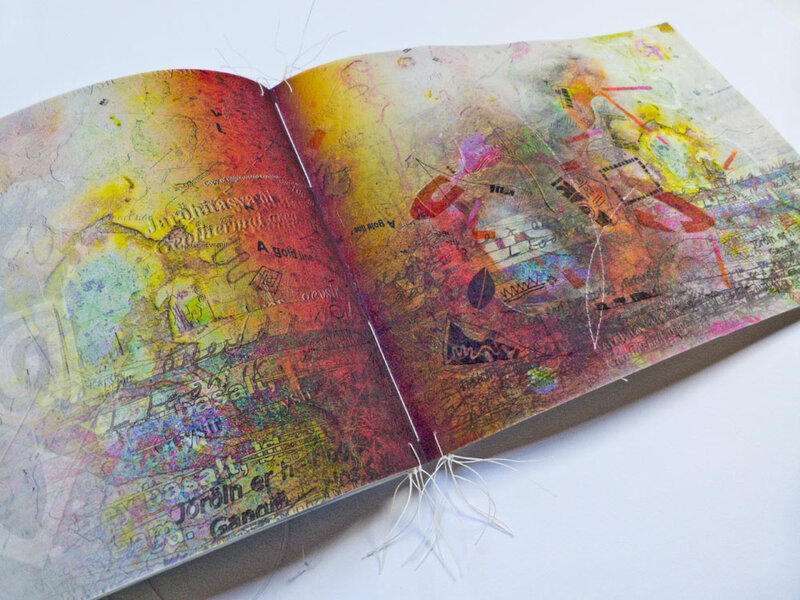 It was the culmination of the work which was inspired by our residency in Iceland. 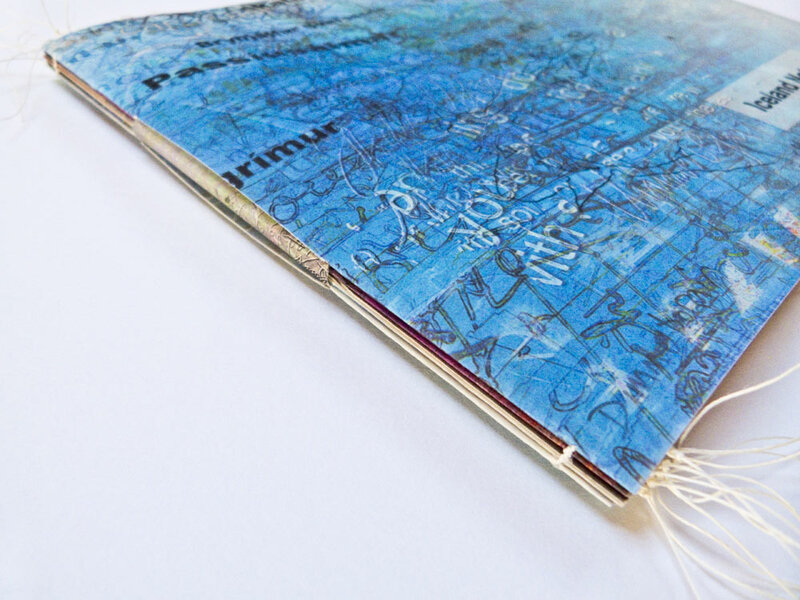 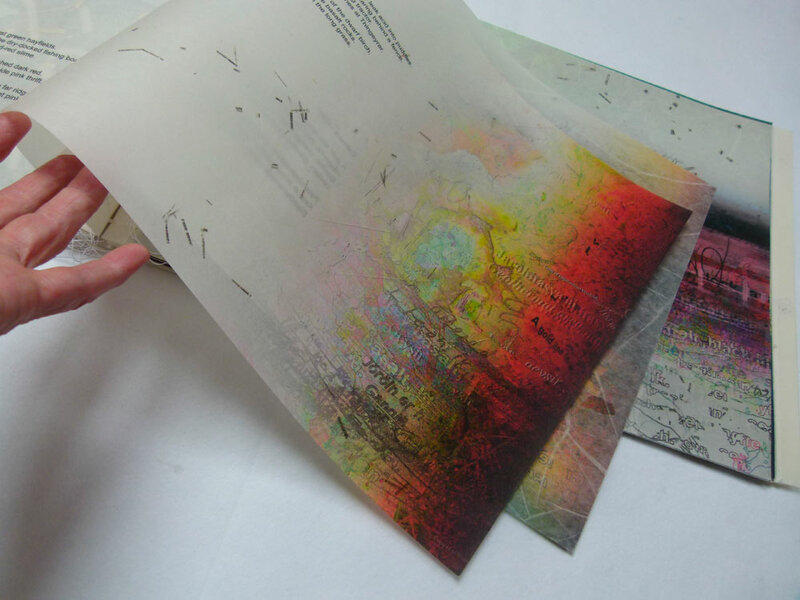 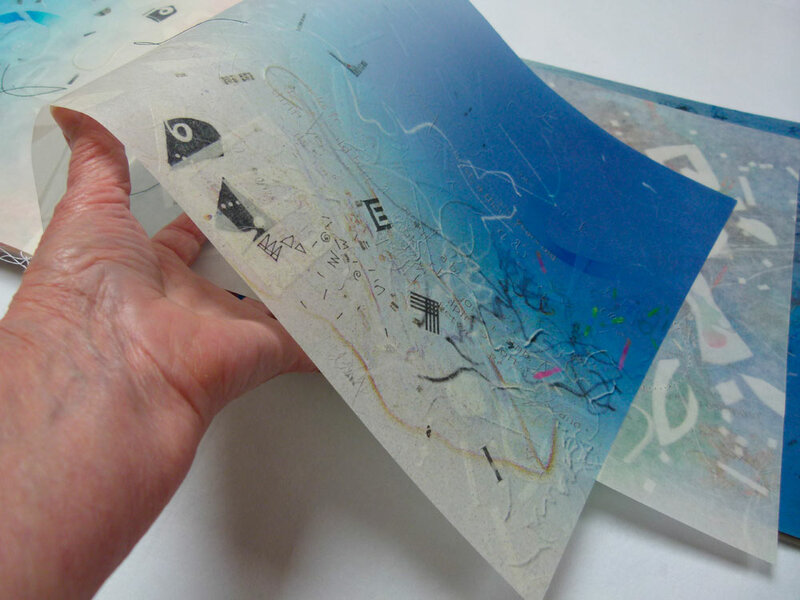 Every page in this version of the collection is made by laminating silk with long fibred paper tissue. 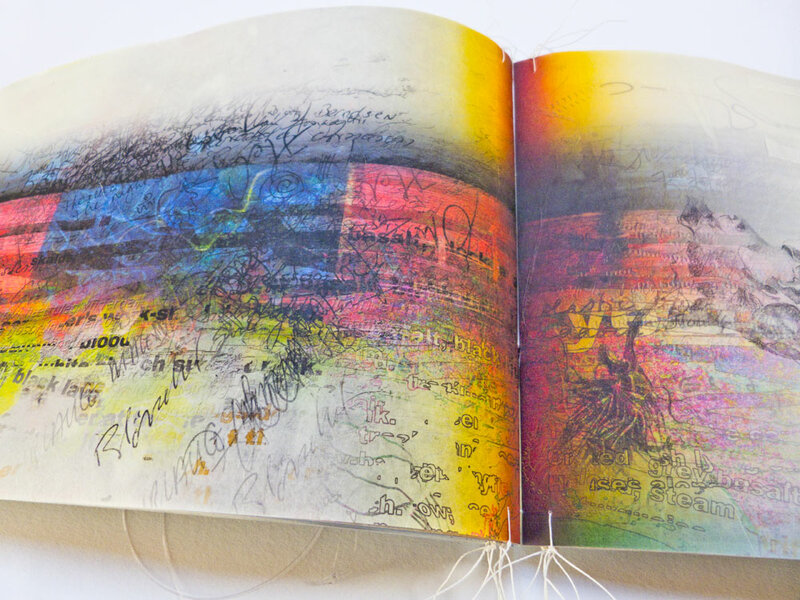 Many of the pages have embedded patterns and shapes. 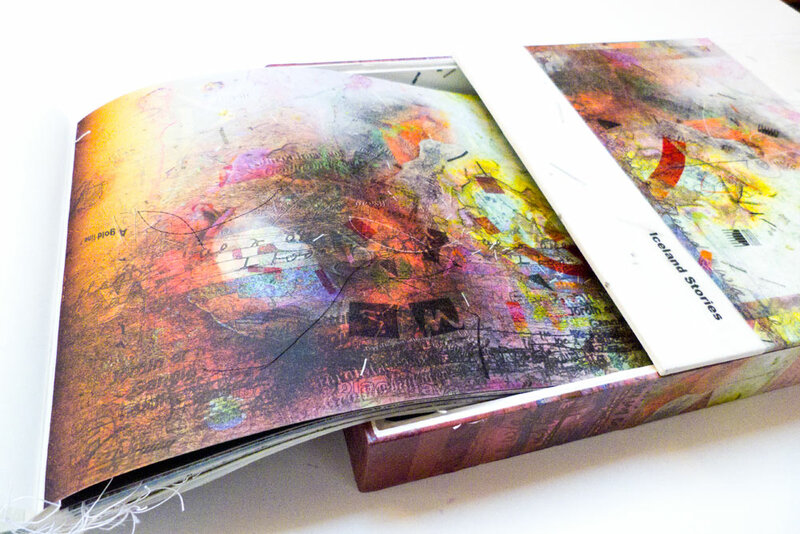 It is accompanied by a sound sequence of poems and is contained in a box. 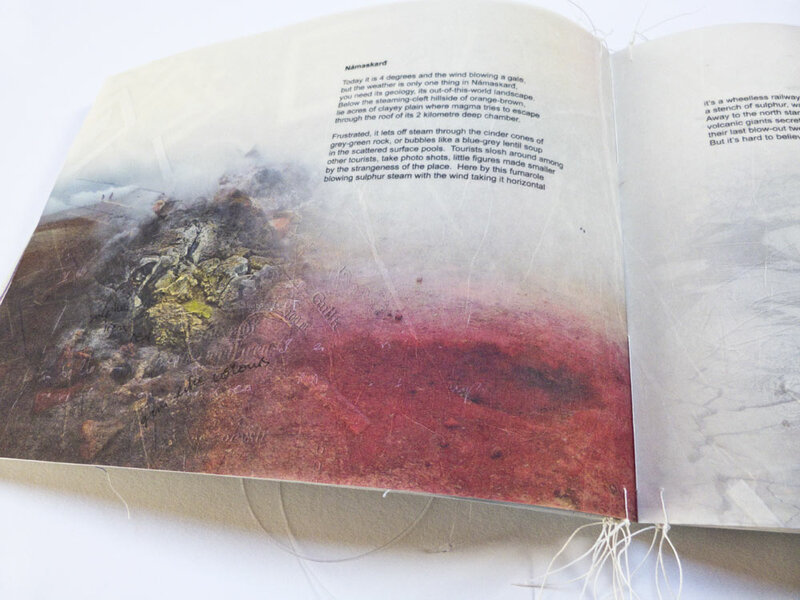 55 pages, printed in full colour on 135gsm matt art paper, of Poems, images and sounds, inspired by the landscape, myth and history of Iceland. 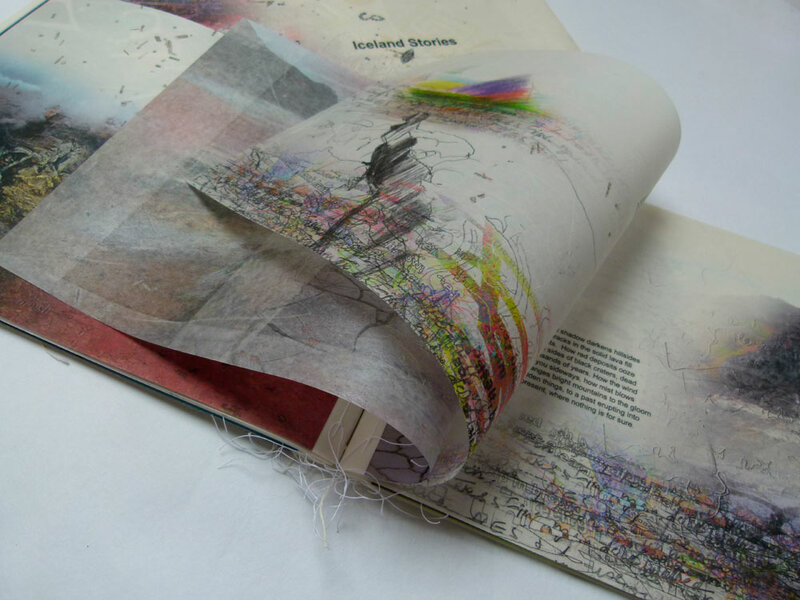 Iceland Stories is both an individual and a collaborative response to shared experience and memory. 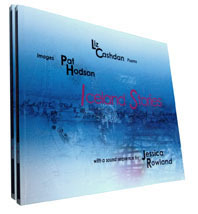 With Pat Hodson’s images, the poems of Liz Cashdan, and Jessical Rowland’s sonic response to word and image in which she mixes the sounds of Iceland with readings from the poems.